Dubai is the exotic, luxury and ultra modern capital of the world. Dubai is the place that proves that a lot of money and resources makes it possible to build a completely new and hyper modern city. Dubai is not only of oil reserves, but is also a fact that it is an important tourist destination and is located at the key port of Jebel Ali. Built in 1970 it was the largest in the world. Dubai is one of the worlds financial and economic centers. Dubai is the title of the main city of the Arab Emirates, which is one of the seven United Arab Emirates, located on the Arabian Peninsula. Juicy often for the eighth wonder of the world Dubai is the second largest emirate after Abu Dhabi, as its population is about 700 000 people. 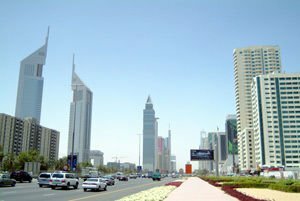 Dubai is located on the Persian Gulf, to the southwest of the Sharah and northeast of Abu Dhabi, another well developed economic area, such as financial services, pouring millions into the coffers of Dubai . 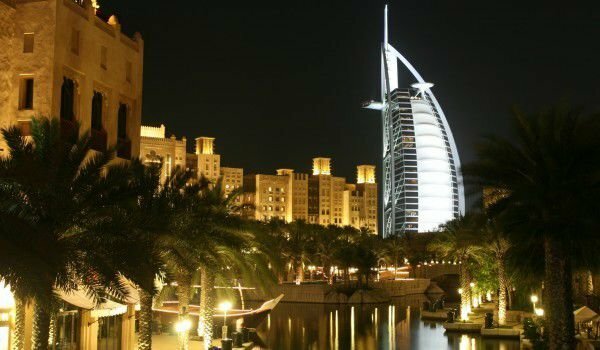 The area around Dubai is still inhabited in ancient times, but the first information about the city came in 1799 at the beginning of the 19th century when the Al Abu Falasa settled in Dubai , which at that time was dependent on Abu Dhabi. In 1833, Al Maktoum dynasty conquered the city without them given resistance from the population. Since then Dubai managed to win its independence from the Abu Dhabi emirate. The town itself has a very good and strategic location on the way to India, which determines the importance of the local port. By 1930 Dubai exported large quantity of beads. Following the withdrawal of Britain from the Persian Gulf in 1971, Dubai , Abu Dhabi and five others formed the Emirates, United Arab Emirates. In 1973, Dubai joined the other Emirates and adopted the common currency, the UAE Dirham. Dubai is famous and recognized by all lovers of luxury and comfort. Many celebrities from around the world have apartments in Dubai . A walk in this exotic posh city will allow you to see buildings that can not be encountered anywhere else in the world. There are quite a few complexes, which are marked by extravagance of their shapes and sizes. Hotel Burdzh Al Arab is the most elaborate hotel in the world, which has been declared the only 7 star in the world. It is located on an artificial island in the water. Here you can see the impressive island group, World Islands, which consists of 300 artificially created islands, arranged in the shape of the Earth. Each is priced at 25-30 million dollars. Be sure to see the Palace of the Sheikh, Dubai Museum and Dzhumitra tent. Also do not miss the walk down the traditional Arab market in Dubai. On January 4th, 2010, Dubai officially opened the highest building in the world - the tower, Burj Khalifa or Burj Dubai called. This building in Dubai broke all records on several criterias. Besides being the tallest building on earth, Burj Khalifa leads as far as the accommodation of the highest altitude for the highest observatory site and is located on the 124th floor. Moreover, the world has no other building that has so many lifts. It has 49 high speed elevators that will provide for the convenience of visitors to the tower. The whole height of this building in Dubai reaches 637 meters and to reach the top of the tower you need to take two high speed elevators - one brings visitors to 504 m altitude at a rate 9 m/sec, and then the second takes guests to top. The tower Burj Khalifa has 160 floors of which uses 230 000 cubic meters of concrete, 39 000 tonnes of steel, 142 000 square meters of glass and 22 million working hours to build. The facade of the building is covered with 22 000 glass panels, giving an area equivalent to 17 football fields. The tower is the largest in the world trade center - Dubai Mall, and the Lake has 24 hectars of area with a cascade of fountains and 19-storey residential buildings. Al Burj is one of Burj Khalifa opponent projects in Dubai. That building will be located in the center of the coastline of Dubai. It is envisaged that the completed building will replace Dubai Burj of leadership and will become the tallest building in the world. Its height will rise to 1200 meters, making it about three times higher than the Empire State Building in New York.